Internet price is for a three-month subscription. Please note, once you complete your purchase, Cheetah registration instructions and login credentials to access your 3-month online subscription will be emailed to you within one business day. The authority on copyright, this landmark treatise fully covers emerging issues in information and entertainment technologies as well as securing, protecting, acquiring, selling, transferring, or licensing copyrights anywhere in the world; includes analysis of new court decisions, Lanham Act Section 43(a), vicarious liability, public performance, and more. 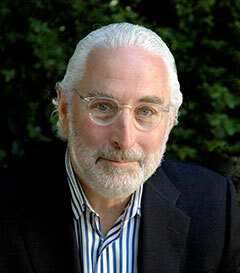 Consulted by more courts on the fundamental issue of copyrightability, Goldstein on Copyright by Paul Goldstein has become the definitive practice tool for today's intellectual property practitioner. Goldstein gives you immediate, reliable access to expert legal guidance so critical in traversing new and unfamiliar copyright law territory. 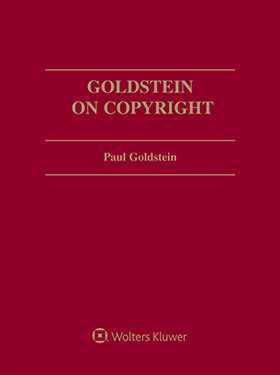 More than any resource in the field, Goldstein on Copyright emphasizes emerging issues in information and entertainment technologies -- to keep you on the cutting edge of copyright law. From determining whether protection is possible...to deciding whether there has been an infringement to analyzing all possible defenses and remedies, you'll have the clear, definitive guidance you need to preserve your clients' intellectual property rights in the new technological age. Note: Online subscriptions are for three-month periods. *Shipping & handling charges are calculated based on the value/weight of the product, the destination, and the method of shipment. For orders in USD shipped within the U.S., the charge for regular ground shipping will be capped at $35.00. For orders in EUR and GBP, the charge for regular ground shipping will be capped at 35 EUR or 35 GBP.